Measure out the desired length of your necklace and add about an inch or two on each end, then cut four pieces with the same length. I used about a foot and a half of wire for each strand. 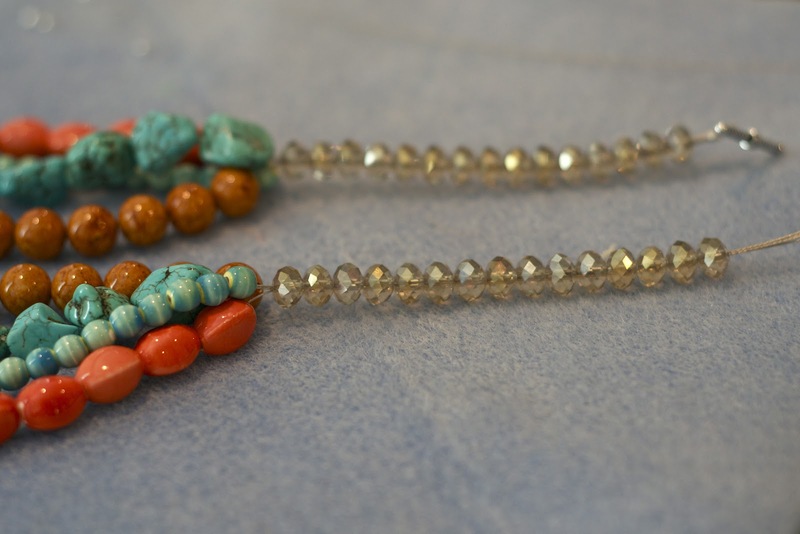 The beads I chose were glass and really heavy, so I decided to only put two strands in each crimp bead as opposed to using all four. I put two pieces of wire through the crimp bead and held it about an inch down. Then, I fed the wire through the end of the clasp then back through the crimp bead. Squeeze the crimp bead shut using the needle nose pliers. Repeat to the next two pieces of wire. All four wires crimped and ready for beading. Next, I beaded half of my iridescent beads on all four strands of wire, making sure to tuck in the wire on top near the crimp beads. You can use whatever beads you like for this part, just make sure the hole in the bead is big enough for four strands of wire. Then separate the wire and bead onto each individual strand. Position the beads however you like, then taking the other half of the iridescent beads, bead on all four wires again so it looks like the above picture. 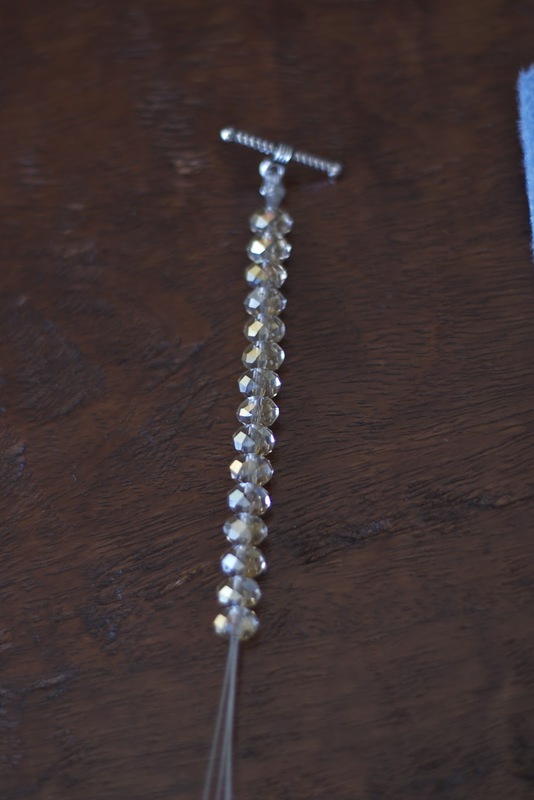 When you finish beading, add a crimp bead on two pieces of wire, feed it through the other end of the toggle clasp, back through the crimp bead, and squeeze. Repeat on the last pair of wire. 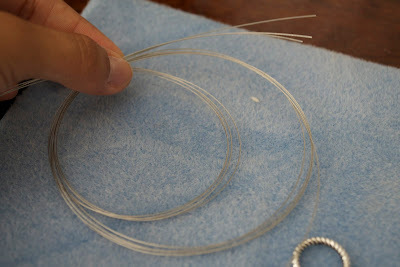 Tuck the excess wire back into the iridescent beads or trim off. 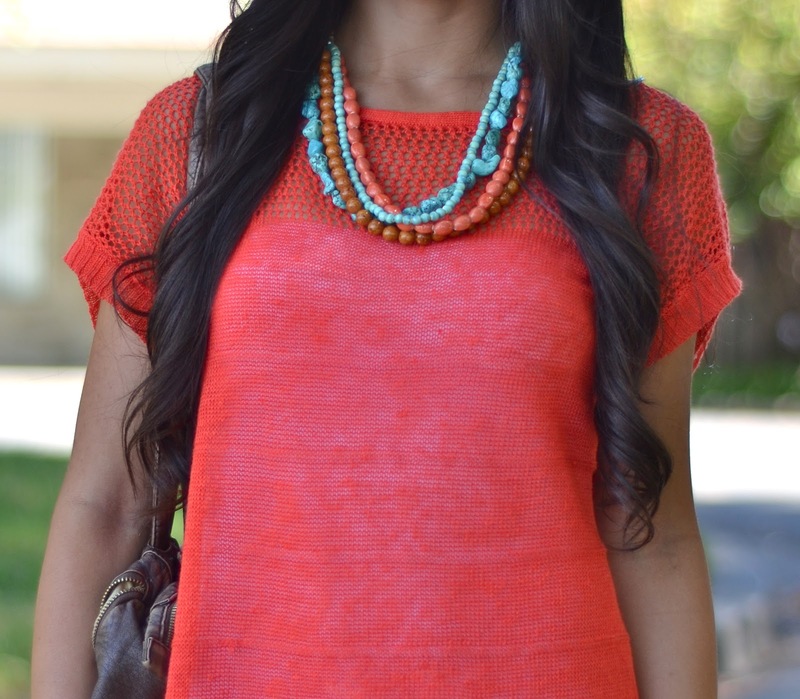 A beautiful DIY statement necklace that you can make in under an hour. I spent about $30 because I chose pricier beads but you can go to your local craft store and find beads that are cheaper. 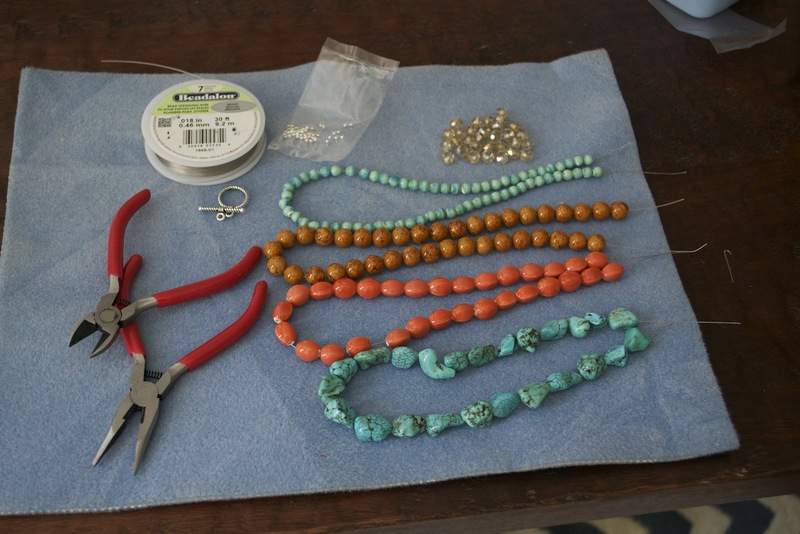 The tools/materials cost under $5 and you will have enough for so many more jewelry pieces. This is so pretty! Great job!! 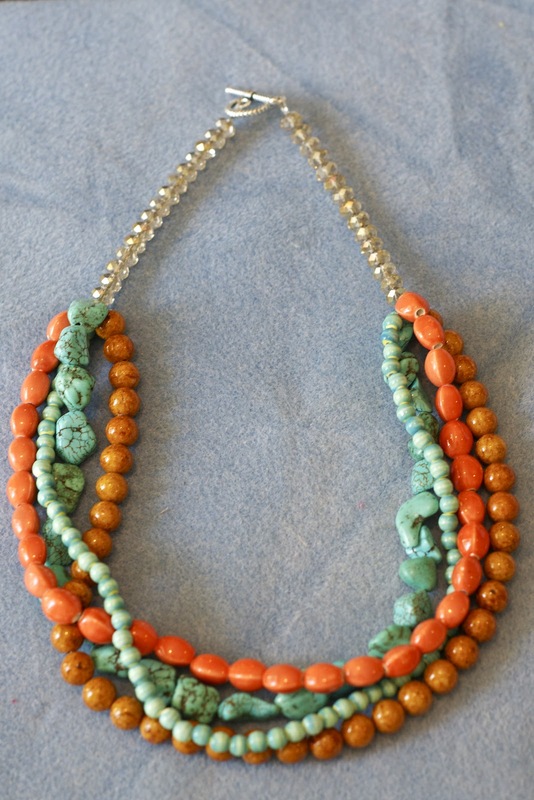 I use to make necklaces every once in a while and now you are inspiring me to start up again! Awesome tutorial - We just featured it on Craft Ideas Weekly! Pretty! Thanks for the tutorial! I need to get some crimp beads! I really want to make this!! 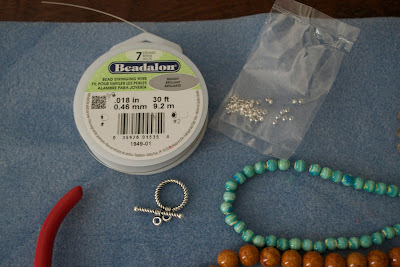 What size crimp beads & bead wire is needed?? 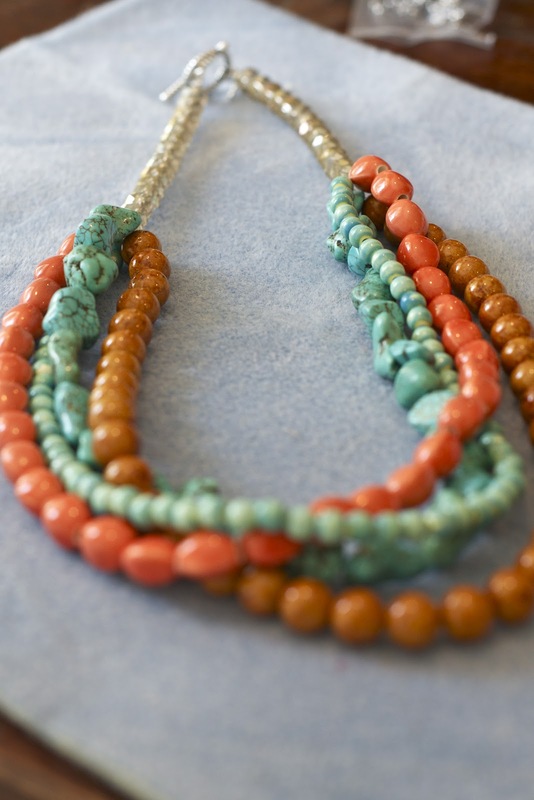 I've been making single strand necklaces for a long time. 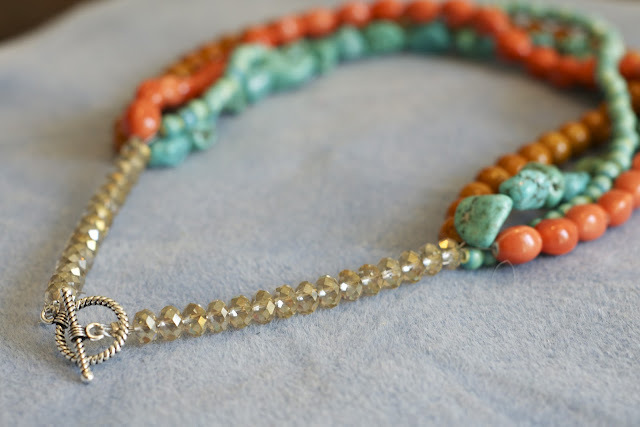 I am so glad to have this tutorial for making a more complex necklace - I love it. Thank you so much. 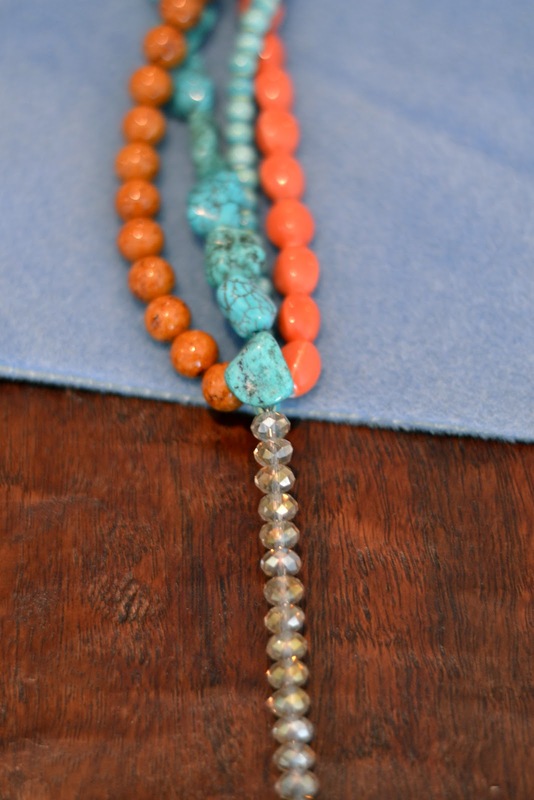 I love the clasp, but it doesn't always allow the necklace to hang well.